An excerpt from The New Sciences of Religion: Exploring Spirituality from the Outside In and Bottom Up (Palgrave Macmillan, 2010) Pages 1 -14. What is religion? What is spirituality? Religions and spiritualities touch our lives at birth, at adolescence, in marriage, and in death, as well as other transformative moments in the lives of individuals and societies. They touch many intimate parts of our lives, including family and society, killing and eating, cooperating and competing, education and labor, values and norms, hierarchies and anarchies. We proceed at first from the common language uses of the terms without precise definitions. We note the historical ubiquity, the emotional valence, and the cultural diversity of religious and spiritual phenomena. Whatever religions and spiritualities may be, they certainly manifest themselves in a multitude of faiths and practices, behaviors and adaptations, moods and motivations. They sometimes present themselves as naòve superstitions and sometimes as profound metaphysical insights. Religions and spiritualities are involved in narratives and ideologies, philosophies and theologies. They can inspire sublime emotions, as well as, ugly passions. The best and the worst things that humans do in life are often religiously motivated. They are implicated in economic markets and in neural networks. They cannot be disentangled from the diversity of disciplines that define the modern university. The humanities, the social sciences, and the natural sciences are all implicated in the serious study of religious and spiritual phenomena. Whatever “a science of religion” might entail, it is necessarily interdisciplinary. Depending on what verities lay at the heart of the religious impulse, the study of religion may also be transdisciplinary in the sense that the religious insight precedes and transcends all disciplines and expertise, or at least so many believers maintain. For the time being, I will use the term religion to denote many different religions and spiritualities. Later I will tease out some distinctions between the terms “religion” and “spirituality.” When I mean to emphasize the diversity thereof, I will shift from the abstract singular, religion, to the plural, religions, knowing that the plural form also involves many layers of abstractions. 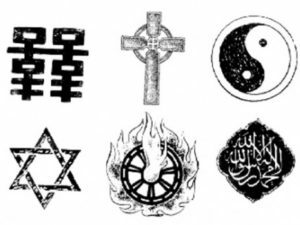 The diversity of the phenomena is not just between religions, but inside each religious tradition that might be named — Hinduism, Buddhism, Judaism, Christianity, Islam, and so forth, down a list of many thousands distinct creeds and cults. Traditionally, one practices a particular religion and seeks spiritual verities inside of an inherited tradition, as a member of a group, inhabiting a group’s ethos and sacred history. Traditionally, one studies the sacred scriptures, sages, and saints, inside a particular worldview and culture. Committed scholars and students of a particular religion study the interpretation of sacred texts and history, philology of ancient languages and the translation thereof into contemporary idioms, the correct practice of rituals and liturgies. The purpose of this traditional study is to understand the authentic meaning of some revelation and to obtain a normative orientation to that which is called transcendent and divine. In this book, I will start instead from the outside looking in, imaging myself to be detached and objective, even if such a standpoint is ultimately illusory. I imagine adopting this perspective from the outside, even though we are always self-implicated in that which we presume to study, perhaps religion most of all. No one can truly be objective, particularly about something so metaphysically, politically, and emotionally laden as religion, though people can certainly be wrong in how they read the evidence. I will, however, bracket the truth claims of religion for the time being and work instead from the outside in with naturalist and secularist assumptions. In this pursuit, I will employ numerous sciences ╨ sociology, psychology, anthropology, economics, biology, neuroscience, and philosophy. I will also necessarily touch on ethics, politics, hermeneutics, and metaphysics. Working initially from the outside in and later from the bottom-up, I seek to build a coherent scientific interpretation of religion that turns into a religious interpretation of science. In this manner, I will try to narrow the gap between religion and science, but not so far as to validate any particular revealed religion. I will argue against mythological literalism and for symbolic realism. The foundational stories of religions may not be true in a literal sense, but they are in some sense profound and precious. And while not true in every sense of the word, religions turn out to be extremely practical. Religion stands at the center of a remarkable human drama. The metaphoric use of these directional adverbs — outside in and bottom up — captures the unique approach of this book. By imagining ourselves to stand outside of a particular tradition and worldview, we end up with the possibility of returning to a particular tradition and worldview with a more robust understanding, one that is more wholesome and more plausible. Because I start with science, I also start with a sense of scale and perspective. I assume the latest consensus on cosmology and evolution, including the macrohistory of human origins and the ten thousand-year rise of human civilizations. I appreciate the remarkable cultural and technological evolution of our species. Science gives us a rigorous body of knowledge established through careful evidence-based research over many centuries. I understand humans to be a special symbolic species living at a remarkable moment in the natural history of our planet and our species’ own curious cultural evolution. This scientific consensus is the stage and setting for our exploration of religious and spiritual phenomena. So I ask again. What is religion? What is spirituality? How does one study this complex? How does one teach it? Are religions healthy and functional for individuals and societies, or are they unhealthy and dysfunctional? 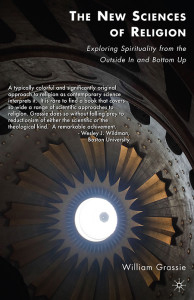 What does it mean to take a scientific approach to the study of religion? Does a scientific study of religion disprove the existence of God, the reality of Nirvana, the possibilities of miracles, and the hopes of a life beyond death? These are difficult questions at the center of some of the most challenging controversies of the twenty-first century. The scientific study of religion is not new. The idea of a “science of religion” was first proposed as such in 1872 by the German-born, Oxford professor Friedrich Max Mueller. The founders of the fields of psychology, sociology, and anthropology all had a lot to say about religion; and most of it was quite negative. And the last few years have witnessed a steady stream of new books by noted scientists and philosophers, the so-called New Atheists, purporting to scientifically explain religion, mostly with the intentions of explaining religion away.2 This is not such a book. I have no expectation that religions will or should disappear. I do expect that religions will change and evolve in new times as they have always done in the past. I hope that the religions of the world, large and small, old and new, will contribute in many powerful and positive ways to crafting a safer and healthier world. I also recognize that many bad things are done in the name of religion and that these terrible things may not be incidental to the nature of religion or the nature of humanity. I predict religion to be the real wild card in future economic development, environmental health, and political wellbeing of the world. I believe that these new sciences of religion can help religions adapt to a rapidly changing world in more wholesome and indeed more authentic ways. A careful, far-reaching, and fair-minded science of religion will also help transform the sciences to be more objective and wholesome, appropriately metaphysical and less blindly seduced by fashionable ideologies and prejudices. The scientific approach to religion that I advocate in this book is non-reductive functionalism.3 By “non-reductive,” I mean that there is no single scientific paradigm or analytic framework from which to understand the complex phenomena of religion. I am not against employing reductionistic explanations as a strategy. This is critical to any science. Religions, however, are multivariable and multileveled phenomena. No single analytic theory is adequate. We have to consider sociological, psychological, and anthropological theories of religion. These are the old sciences of religion, though they too have evolved in the last century. Today, we can supplement these with new economic, evolutionary, and neuroscientific theories of religion. 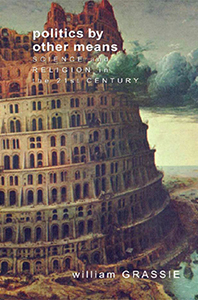 These are the new sciences of religion, which I will explore in this book. To this I will add a dose of the medicine of religion for good measure and better health, but also because studies of spirituality and health help us better understand the challenges of studying religion as an independent variable. I will explicitly address the new hermeneutics of ancient scriptures in light of contemporary historical science. In the end, I will also develop a religious interpretation of contemporary science from the bottom up, using “naturalism” rather than “revelation” as the point of departure. In this book, I will try on many different reductionist approaches to religion, knowing that each one acts as an epistemological filter for what we see and what we do not see. None of these approaches will be adequate, though all together will enlarge our understanding of religion and give us a new appreciation of this enduring dimension of human life. In using the term non-reductive, I will also make a larger metaphysical claim about the structure and limits of science. Science is not a unified epistemology, though it turns out to be a unified body of knowledge. It is better to talk about many different sciences each with their own methods of inquiry and validation determined by the nature of the phenomena studied as adjudicated through the rigors of peer review. Science is a complex, diverse, and multileveled enterprise. 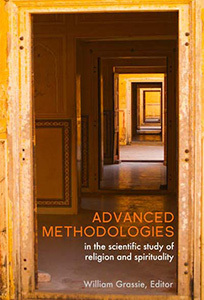 An adequate philosophy of science today recognizes that there are emergent phenomena and that different methodologies need to be employed to account for different levels of complexity. Religion is also a complex and emergent phenomenon and therefore must be studied with multiple methodologies, none of which exhaust the meaning of the phenomenon. That science is nonetheless a unified body of knowledge, knowledge that is progressively factual, requires, however, that we abandon mythological literalism in any plausible reinterpretation of religion. The latter is not such a problem, because these revelations were never intended to be read as scientific textbooks, documentary movies on the History Channel, or the nightly reports on Fox News and Al Jazeer. By functionalism, I mean that religions exist and persist in part because they serve diverse human purposes. These functions work on the level of both individuals and groups. The sciences of religion must be open to understanding how religions differentially benefit individuals and groups and why they arose and thrived in the past and continue to do so in our contemporary world. Of course, to say that religions can be functional also implies that they can be dysfunctional, so I will explore the dark side of religion as well. The function and dysfunction often turn out to be closely related and context specific. In social scientific terminology, religions operate as both dependent and independent variables in human history and in individual lives. When we do a functional analysis of religion, rather than a comparison of different creeds, we notice that there may be as much functional diversity within a major tradition, as there is between traditions. The typical focus on dogmas, doctrines, and stories by philosophers, theologians, and historians of religion blinds us to these many functional similarities that cut across cultural boundaries. This is not a surprise, because as we will learn, one of the many functions of religion is to maintain the boundaries of group identity. This question of boundaries also turns out to be a major preoccupation in the sciences and the philosophy of sciences, so border wars between science and religion, as well as between different religions, is to be expected and demands a new kind of diplomacy, supplemented also by a new kind of commerce and exchange between the cultures and domains of religions and sciences in our increasingly globalized civilization. I argue that this new religion of science and the new sciences of religion do not necessarily threaten the core truth claims of the world’s religions. The assumption that the scientific study of religion somehow discredits religion and supports atheism needs to be critically examined. Too many researchers are motivated by an ideological agenda of “explaining religion away.” In other instances, the researchers are motivated by an apologetic agenda of revalorizing religion. These apologetic studies further distort the field, because they invariably promote a particular tradition and worldview, for instance, taking Christianity to be normative. Science works best when it does not include strong biases, for or against that which the scientists study. Setting out to prove that religions are dysfunctional and regressive or that a particular religion is useful and superior is not going to result in good science or an adequate philosophy of religion. What is called for is a phenomenological approach that brackets the truth claims of religions. A careful consideration of the complexity, diversity, commonality, and function of religion without regard to “truth” is the first step in developing a descriptive science of religion. In this phenomenology of religion, however, we can only temporarily bracket these questions, because part of the phenomenon is a deep commitment to a particular way of thinking and acting in the world. The truth of religion is not just a question for philosophers and theologians, but a recurrent concern for clerics and lay people around the world and throughout history. So we must ultimately ask what in religion might actually correspond to some understanding of ultimate reality. From a scientific perspective, however, there is no a priori reason to privilege one tradition over another. We have three logical options with regard to the truth of religion. The first option is that all religions are grossly mistaken and contain no insights into ultimate reality as witnessed by their inability to integrate the scientific worldview and critical thinking. The second option is that there is one true religion and the others are inferior and mistaken. Science and comparative religion are largely irrelevant in this second case, because this approach tends towards solipsistic rationalities. To the extent that science is considered, it will tend to be selectively used for apologetics. The third option is that all religions are partly true. In this understanding, religious stories and doctrines evolved in culturally and historically specific ways, but ways that nevertheless transcend their specificity to establish universal profundities. If there were no mapping of religion onto some kind of truths in the universe and in the human person, then it would be difficult to understand why and how religions persist and why they evoke such fierce commitments and debates. Religions, in this third view, are then tested and filtered through centuries of human experience and must now be retested and reinterpreted in light of scientific realities. This view also allows us to differentiate between different traditions and different aspects of these traditions, because religions need not be seen as equally true, good, and useful. Some may be deemed better or worse than others based on their correspondence to truth or their pragmatic impact in the contemporary global environment. The third option is my point of departure. Religions are all partly true; they actually correspond to something profound and real in the universe. I seek to establish this by way of this long detour and a lot of detective work from the outside in and the bottom up. Non-reductive functionalism, therefore, leaves open the possibility that religions are in some sense also true, perhaps true about the most profound and important existential issues that humans face, but this approach requires that I work circuitously before presuming to understand the central core. Revealed traditions address this ultimate reality by many names: as Allah, and Mohammed is his Prophet (PBUH); as Jesus Christ, my Lord and Savior; as the God of Abraham, Isaac, Jacob, and the Hebrew prophets; as the avatars of Brahma; as the Buddha nature in all things; and as Ch’i, the Dao, Shang Ti, and Li in the Chinese traditions. The approach taken in this book gets us perhaps as far as the concept of God-by-whatever-name, but not so far as a God-by-a-specific-name. I consider many different religions because I do not intent to privilege any particular religious tradition, though certainly my own cultural biases, intellectual finitude, and contextual limitations will leave their marks on this inquiry. After considering various sciences of religion, and a religious interpretation of science, all of us will have fuller and richer understanding of the phenomena. Having taken this journey, we will be better able to address the many truth claims of religions. Are religions one or are they many? Are some religions “better” than others? Are religions mutually exclusive? These are tough questions, which in the end may only be satisfactorily addressed inside of a particular tradition, much as people speak one particular human language at a time. Working scientifically from the outside in and the bottom up, I will end at a place I call particularist universalism. I will not get as far as establishing the validity of any particular religion, but I will have closed the gap between religion in general and science in general. New constraints will be introduced on the interpretation of religion as well as the interpretation of science. This book is an exploration. We will cover an impossibly broad territory, many sciences and many religions, the latter include many different scriptures, histories, languages, and cultures. As already noted, science works best when it does not contain a strong ideological project. Religion, on the other hand, works best when it is motivated by a deep commitment. This journey requires that we suspend our prejudices and commitments, if only for a time. Let╒s leave our biases behind, pro or con, and try to understand the phenomena on its own terms, in new and unexpected ways, without flattening manifest and multilevel complexities. I promise to return my religiously inclined readers safely to your church, synagogue, mosque, or temple, though different for the journey and with many new tools for thinking about ancient verities and universal truths. And I promise to return my scientifically inclined readers safely to your study, laboratory, or classroom with a new and humble appreciation of science and the incredibly complexity of the human phenomenon. My interest in religion is not simply academic. I have my own existential doubts and worries, my own family of origins and societal context, and my own philosophical and ideological commitments. In exploring these new sciences of religion, I am also seeking after something. Let╒s call it wisdom based on credible beliefs. I am a seeker of transcendent meaning and purpose in life, which also entails transcendent meaning and purpose in death. As you will soon discover, I am a student of all religions, an expert in none, and respectfully heterodox in my approach. This book, as are all scholarly undertakings, is partly an autobiographical journey. For me, as with all of us, the challenge of religion and spirituality began in my youth, in my family, in a particular social location and time. The sociology of religion suggests that one╒s family of birth is the biggest determinant in whether and how one will be religious. As adolescents and young adults, people often become disillusioned with their family╒s religious orientation; but as they grow older, particularly when they themselves have children, they tend to drift back to the religion of their family of origins. Sometimes the disillusionment is more severe, resulting in a deep alienation from religion and family, but generally with a very specific content informed by childhood and adolescent experiences in a particular religious milieu. 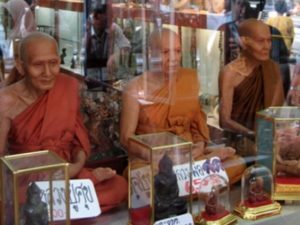 Conversion to a different tradition turns out to be very unusual — not many Jews become Buddhist, not many Christians become Muslim, not many Hindus become Christian, and not many “scientists” become religious. I am a convert of the latter sort, an apostate of a different kind, a scientist-by-birth, if such a thing were truly possible, who became fascinated with religion as an adult. There were other crises in my youth that caused me to question the atheism and scientism I had absorbed as a child. These were existential and moral crises, related to the tumultuous events of 1968, my father’s death in 1969, the first Earth Day in 1970, experimentation with drugs in high school, romantic loves won and lost, and my hitchhiking through Europe, Canada, and the United States in the 1970s. Suffice it to say, by the time I got to college I was no longer interested in becoming a scientist, though a certain aptitude and fascination for science remained. Fast forward through my undergraduate studies at Middlebury College, a voyeuristic year studying religion and politics in Jerusalem, ten-years of working with religiously based peace and reconciliation organizations, marriage and children, graduate school, a dissertation on science and religion, and university teaching to the founding of the Metanexus Institute on Religion and Science.6 The curious term metanexus was created by taking the Greek prefix meta-, meaning “transcending or transforming,” and combining it with the Latin noun, nexus, meaning “connection or core.” Philologists say that one should never combine Greek and Latin. Similarly, it seems the terms science and religion should not be in too close proximity in our culture. Metanexus literally means “transcending and transformational networks.” The world needs bridges between different academic disciplines, different institutional forms, and different religious and cultural traditions that will help us transcend and transform our thinking and doing in wholesome and creative ways. That remains the rather large ambition of a very humble organization with whom I have been privileged to work and learn. This book is the product of that journey. It is a journey that took me around the world — Cambodia, Canada, China, Colombia, England, France, Germany (East and West), Greece, India, Indonesia, Iran, Israel, Italy, Lebanon, Mexico, Nepal, Palestine, Poland, Spain, Scotland, Soviet Union (but not yet Russia), Sri Lanka, Switzerland, Thailand, Turkey, Yugoslavia (the former and the divided). It is also a journey that afforded me the opportunity to meet with many of the world’s greatest scientists and religious thinkers. For much of the learning I am especially in debt to the twelve years in which I worked with Metanexus, work that was supported in large part by the John Templeton Foundation. In this capacity I ran or attended dozens of international conferences on these topics. I also managed numerous requests-for-proposals distributing many millions of dollars in research funding to hundreds of scientific studies on religious and spiritual phenomena. This book, indeed the need for this book, is a result of these studies, conversations, and travels. How will this exploration proceed? The argument is presented in two parts and nine chapters. Part one examines the new sciences of religion, specifically economic, evolutionary, neuroscientific, and medical models of religion. Here I work from the outside in to try to understand how religions work for individuals and groups. Part two is an attempt to ground religious truths from the bottom up, working from the new naturalistic worldview without privileging a received tradition or a revealed text. This is the new religion of science, but not in the sense of scientism, which has aspired since the Enlightenment to somehow replace religion with science. My goal in part two is to delineate how some of the core truth claims of religion might be grounded in the contemporary scientific worldview. In the first chapter, I explore the problem of classifying and defining religion and spirituality. The very diversity of the phenomena will be the central problem. I consider the insider/outsider challenge in the study of religion and argue with an analogy to linguistics and human languages that it is possible to decode a universal “grammar” to religion that transcends the diversity of beliefs and practices. Indeed, I argue that there is more functional diversity within any major tradition, than there is functional diversity between major traditions. 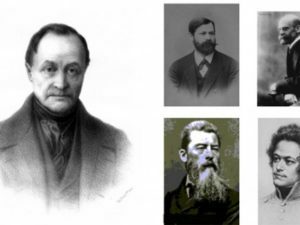 In chapter two, I examine the “old” sciences of religion by focusing on the thoughts of Auguste Comte, an eccentric French genius, who profoundly influenced Marx, Freud, Durkheim, and other early theorists of religion. This discussion will lay out some of the different theoretical approaches to the scientific study of religion. I then develop the concept of non-reductive functionalism, the basic analytic orientation of this book. Readers who are familiar with the challenges of comparative religion and the Enlightenment intellectuals above may chose to skim these preliminary chapters. In chapter three, I begin with the new sciences of religion by considering the impact of religions on economic development, as well as economic models for understanding religions. I offer a brief case study of economic development and Islam. Economic terminology, like “utility function,” “opportunity costs,” “social capital,” and “rational choice” will be employed to understand the dynamics of religion as a variable in economics. I consider also how social values, often encoded in religious context, are part of the formula for economic development. The chapter works toward considering both religion and economics as symbolic systems of value that radically change the material world. In chapter four, I turn to evolutionary theories of religion, offering an understanding of religious beliefs and behavior through the lens of survival and reproduction. Three competing evolutionary accounts of religion will be considered. Two of these approaches argue that religions are a dysfunctional byproduct of human cognitive evolution. The other approach argues that religions are evolutionary adaptations that served to promote group survival and reproduction. I offer a fourth possible interpretation that takes a bit from each, but sees also the profound ways in which humans have transcended their biology. In chapter five, I turn to the cognitive neurosciences to try to understand religious experience inside of the brain. I look at a number of different models, including disease and injury-based models, brain imaging studies, pharmaceutical studies, and developmental studies, ending by considering a number of scientific and philosophical problems with this approach. Along the way we will also developed a much more detailed typology of religious experience. In next chapter, I take on the medicine of religion. There is a growing interest in spirituality and health and some interesting research conducted in the field. I discuss the problem of measurement, research design, and research results, including double-blinded, controlled randomized trials of spiritual interventions. I consider complementary and alternative medicine as part of the spirituality-and-health marketplace. The growing fields of psychoneuroimmunology and pschoneuroendrocrinology now provide a plausible causal pathway inside the mind-brain-body to account for the efficaciousness of spiritual attitudes, rituals, and interventions. I argue for a new appreciation of placebos in all medical therapies in what I call the deep semiotics of health. Part two begins with chapter seven on the narratives of religion. I return to the question of whether and how religions may be true by first considering the status of revealed scriptures in a bottom-up approach. Even as the natural sciences challenge the plausibility of religious cosmologies, the historical sciences challenge most people╒s understanding of sacred scriptures as revealed texts. Instead, we understand scriptures to be human-authored and politically redacted texts that arose in specific historical and cultural contexts. As a case in point, I examine current scholarship on the New Testament and then posit new ways of interpreting sacred text as profound stories and humans as profoundly storied creatures. The later insight begins a larger discussion of the narrative nature of human nature. This then is the post-modern moment and the apparent inability to adjudicate between solipsistic religious rationalities and other self-referenential worldviews. I develop a new hermeneutic for thinking about the many entangled and conflicting narratives in our global civilization. I argue for a limited field of plausible interpretations based on a critical realist understanding of science, but do so in a way that distinguishes between science and the interpretation of science. Nor is it the case that the scientific approach is capable of describing the entire complexity of universe and human experience. In chapter eight, I use religious categories to develop a new metaphysics of science. I argue that the natural and human sciences lend themselves to a new religious worldview. This new “religion of science” is not necessarily antithetical to traditional religions; indeed, it offers insights that may lead to the recovery of neglected, perhaps more authentic interpretations of sacred scriptures. Here I work from the bottom up toward a robust concept of transcendence through science. To do so requires a short tutorial in the philosophy of science and an argument for critical realism in science based on what I call symbolic realism. Along the way, I offer a new definition of science. Finally, in chapter nine, I move in a more theological direction, developing the concept of God-by-whatever-name from the bottom-up. I argue for a new understanding of God-talk in intellectual and religious discourse. The many languages of God, much like human languages, share a common “grammatical” structure, but also a common “semantic” reference in the lived experiences of humans in diverse contexts. I close by affirming the diversity of religions, much like the diversity in human languages, in what I call particularist universalism. The juxtaposition of the concepts “science” and “religion” in our civilization is a kind of Rorschach Test for all kinds of deeply held prejudices and beliefs. The terms are often thought of almost as antonyms and reflect a profound cultural ambivalence in our postmodern, global civilization. 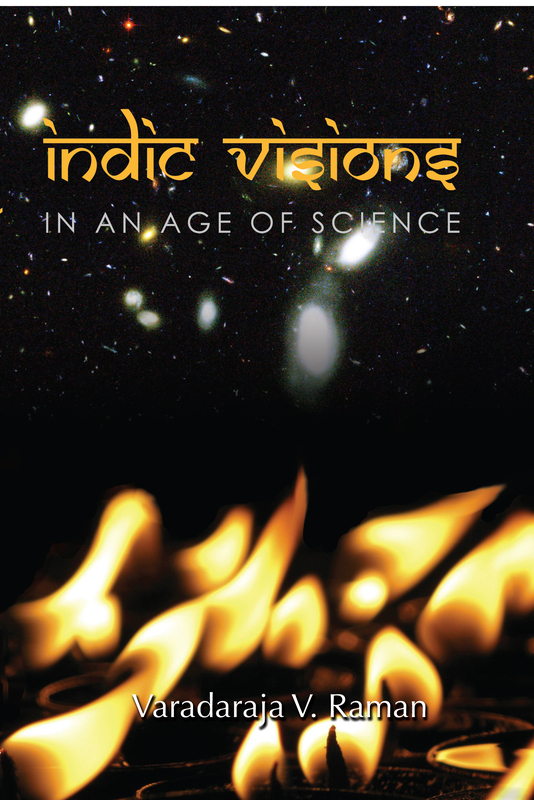 This book has a big ambition in trying to close this gap between the domains of science and religion. 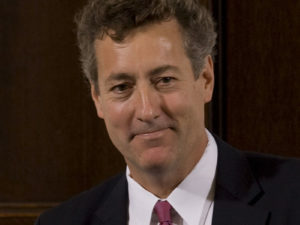 The approach is to develop transcending and transformational connections — a metanexus — between diverse sciences and religious traditions. While I write primarily for scholars of religion and the social scientists who study religion, as well as their students, I will attempt to present the findings in a manner useful to educated lay readers who are willing to slog through some technical vocabulary. I write for both the scientifically inclined and the religiously motivated, though not necessarily in the same person. Writing for an interdisciplinary audience is particularly challenging, as I cannot assume a common foundation of information upon which to build. 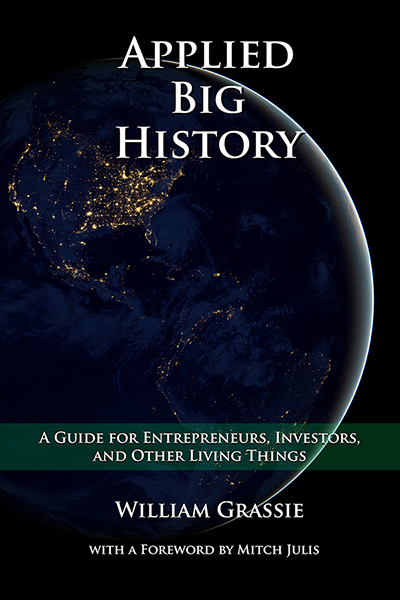 Some parts of this book will seem introductory and obvious to experts in a particular field. There are many books and authors referenced herein that might be a better guide to some particular area of expertise. I am simplifying and reducing huge areas of expertise into short chapters and make no claim to be an expert in any or all the fields under consideration. 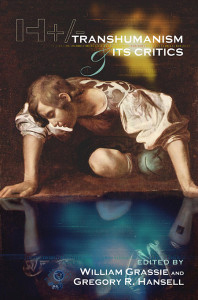 What is different about this book and unique about my approach is that it is informed by training in comparative religion, the philosophy of science, and the philosophy of interpretation. What is also different about this book is the large sweep of disciplines that I try to bring to bear. Its strength will no doubt also be its weakness. Specialization rules today in academics and with good reason. Humans have made enormous progress through specialization and the division of labor. And yet we miss out on many important and crucial insights if all we do is specialize. An overly specialized and compartmentalized mind is also an impoverished mind. It will lack the tools for appropriate generalizations and creative synthesis, tending to mistake a particular map for real life. An overly compartmentalized civilization is a fragmented civilization easily torn apart by sectarian forces. In over-specialization, we will not understand the varieties of knowledge, their limitations, their uses and abuses. If we misunderstand the unity and value of knowledge, then we will fail at building civil, democratic, scientific, humane, and healthy societies, and at being productive citizens of such societies. I am no Edwin SchrÜdinger, but I will use his apology as my own. This book is a synthesis of “second-hand and incomplete knowledge.” There is no other way that such a book could be written. My attempt and intention is to piece together a larger puzzle by reading widely, seeking everywhere, and keeping an open-mind. This book will be easier if you retain the concept of non-reductive functionalism, an approach that we will keep coming back to with many examples and applications. Non-reductive functionalisms means: 1) religions can be both functional and dysfunctional depending on the context; and 2) there is no single analytic framework sufficient to understanding this multileveled and multivariable phenomenon. This is part one of the book in which we work from the outside in. Implied in non-reductive functionalism are two additional corollaries: 3) religions may in some sense be profound, indeed profoundly true; and 4) the adjudication of such truth requires a thoroughgoing reinterpretation of religion in dialogue with contemporary science and history. This is part two of the book in which we work from the bottom up. The sciences of religion are devilishly complex. The people who do the social scientific research on religion often lack an understanding and appreciation of the multileveled complexity and diversity of the phenomena they purport to study and explain. As I detail in the chapters that follow, they draw conclusions that may not be generalizable. They sometimes infer causation from correlations. They regularly assume a metaphysics and interpretation that need not be so and indeed may not be justified. They often import ideological and apologetic biases. They can be remarkably arrogant and confused. They study the trees, but miss the forest for the trees. 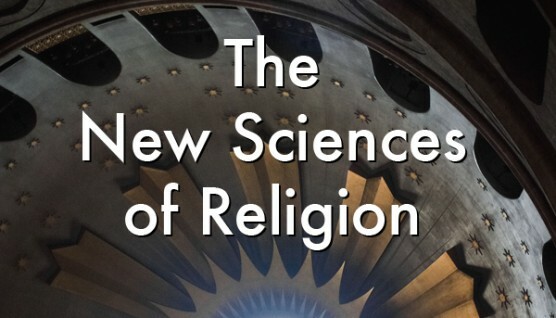 By taking a broad overview of the new sciences of religion, I hope to offer a better appreciation of religion and spirituality, whatever the terms may actually mean, and therefore also a more rounded and wholesome understanding of the human phenomenon. If I succeed, we will see the whole forest, but also a lot of different trees, and a good deal of the details in the complex religious ecosystems that we all inhabit. Far from turning us all into atheists, the new sciences of religion should turns us back to religion, but in new ways. Yes, mythological literalism in religions will be undermined, but the enduring questions and perspectives raised by religions will be revalorized in society and in intellectual life. The new sciences of religion will lead us to a more authentic and more wholesome understanding of religion in our individual and collective lives at an extraordinary moment in the cultural evolution of our species and the natural history of our planet. At least that is my hope. That is what I have discovered along the way and hope to share with the reader in these pages. In the end, you will be the judge of whether I have succeeded to your edification and satisfaction. 1 Google searches conducted on 7/28/2009. 2 Pascal Boyer, Religion Explained: The Evolutionary Origins of Religious Thought (New York: Basic Books, 2001). Richard Dawkins, The God Delusion (New York: Houghton Mifflin, 2006). Victor J. Stenger, God: The Failed Hypothesis: How Science Shows That God Does Not Exist (New York: Prometheus Books, 2007). Daniel C. Dennett, Breaking the Spell: Religion as a Natural Phenomenon (New York: Viking, 2006). Dean H. Hamer, The God Gene: How Faith Is Hardwired into Our Genes (New York: Anchor, 2005). Sam Harris, The End of Faith: Religion, Terror, and the Future of Reason (New York: W.W. Norton, 2004). ____, Letter to a Christian Nation (New York: Knopf, 2006). David Sloan Wilson, Darwin’s Cathedral: Evolution, Religion, and the Nature of Society (Chicago: The University of Chicago Press, 2002). 3 Non-reductive functionalism is a term of art in the philosophy of mind. David Chalmers popularized the concept in his 1996 book The Conscious Mind. He argues that, “consciousness can only be understood within a non-reductionist science of the mind.” Consciousness is “supervenient” on physical states of the brain. Chalmers argues for “property dualism,” i.e., mental states cannot be fully reduced to and understood through bio-chemical, neuron-level analyses of the brain, contrary to the ambitions of physicalist reductionists like John Searle and Daniel Dennett. See David J. Chalmer, The Conscious Mind: In Search of a Fundamental Theory (New York: Oxford University Press, 1996). My use of the term is related, but greatly expanded beyond the domain of the cognitive sciences and the philosophy of mind. 4 Edwin A. Abbott, Flatland: A Romance of Many Dimensions (Project Gutenberg, 1884). 5 Alfred North Whitehead, Science and the Modern World (New York: Free Press,  1967), 51. 6 “Metanexus Institute,” https://www.metanexus.net. 7 Edwin SchrÜdinger, “What Is Life?,” http://whatislife.stanford.edu/Homepage/LoCo_files/What-is-Life.pdf. Abbott, Edwin A. Flatland: A Romance of Many Dimensions: Project Gutenberg, 1884. Chalmer, David J. The Conscious Mind: In Search of a Fundamental Theory. New York: Oxford University Press, 1996. Dawkins, Richard. The God Delusion. New York: Houghton Mifflin, 2006. Dennett, Daniel C. Breaking the Spell: Religion as a Natural Phenomenon. New York: Viking, 2006. Hamer, Dean H. The God Gene: How Faith Is Hardwired into Our Genes. New York: Anchor, 2005. _____. The End of Faith: Religion, Terror, and the Future of Reason. New York: W.W. Norton, 2004. Schroedinger, Edwin. “What Is Life?” http://whatislife.stanford.edu/Homepage/LoCo_files/What-is-Life.pdf. Stenger, Victor J. God: The Failed Hypothesis: How Science Shows That God Does Not Exist. New York: Prometheus Books, 2007. Wilson, David Sloan. Darwin’s Cathedral: Evolution, Religion, and the Nature of Society. Chicago: The University of Chicago Press, 2002.